The Republican of Azerbaijan, a little known former federated republic of the now collapsed Soviet Union, is located at the crossroads of Western Asia and Eastern Europe. The nation of nine million people is a primarily Muslim nation, although it has no official religion. However, unlike most Muslim majority nations, Azerbaijanis is committed towards creating a secular nation. 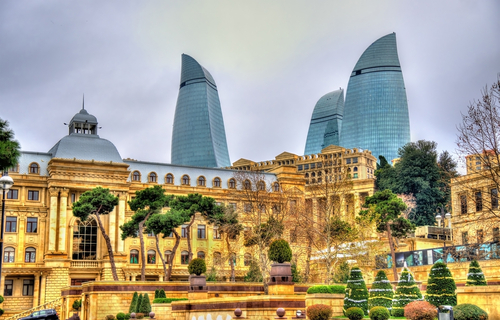 Despite the fact that Azerbaijan’s government is criticised for massive human rights violation and endemic corruption over the years, the country is generally prosperous, thanks chiefly to its massive oil reserves and home grown agricultural industry. In term of literacy, development and other socioeconomic indicators, Azerbaijan ranks favourably to other Eastern European nations. Since its independence in 1991, Azerbaijan has quietly worked on distancing itself from Soviet Union. In recent years, the most prominent sign of their effort is the attempt at replacing the Russian language with English for all official and business correspondences. This has been the primary driver behind the increase in demand of foreign teachers, or more specifically, English as a Second Language (ESL) teachers, in the country. The country’s private schools, international schools and institutions of higher learning employ educators of all levels, from pre-schoolers to primary and high school teachers. More experienced educators are offered even senior positions in the country’s education system to assist in long-term development. Aside from that, there is also a great demand for ESL-certified teachers in language schools across the country. Students even include of working adults, who are trying to learn the English language to enhance career prospects and establish relationship with foreign trading partners. These combinations of factors means the country welcomes foreign teachers of varying levels of education, discipline and experience. Azerbaijani public, private and international schools teach using the International Baccalaureate (IB) world class curriculum and offer IB certification to students. As such, the quality of the schools here is top notch, which in turn, require similarly high calibre educators. Although the number of expatriate teachers in Azerbaijan is still relatively small, tight knit communities exists in major cities like the capital, Baku. Note: Applicants who wish to attend an interview in Azerbaijan require a letter of invitation from the prospective employer before they can enter. If they anticipate their stay to extend beyond 30 days, they must register with the nearest police within three days of arrival. Salary : £750 - £2,600. Working Hours : Around 35 to 40 hours a week (8.30 a.m. to 4.00 p.m.), Monday to Friday (including preparatory work and administrative duties). School Year : Late September to late June. Benefits : Accommodation (room), full health insurance, three meals a day, and a flight ticket to a major hub (e.g., Turkey). Azerbaijanis are socially conservative, but economically progressive. This is reflected through their tight knit family and social units. While they are open to consuming alcohol or dancing, they are probably several decades behind the social trends of Western European countries, so tread cautiously. Additionally, the relationship between Azerbaijanis and their tea puts Englishmen to shame. Tea is served in a special par-shaped cup called armudu and is sweetened with fruit desserts. There are also tea houses where people can spend hours drinking, you know it, tea. Tea also plays a part in many traditional ceremonies, including matchmaking. Regulatory agencies : Azerbaijan Republic Migration Office and Ministry of Education. Cost of Living : 59.24%lower than UK. Climate : Azerbaijan is subjected very diverse climate zones – nine, to be precise. As such, there are huge variances between the minimum (−33 °C) and maximum (46 °C) temperatures depending on the region and season. Visa : Applicants must submit their own visa applications – as well as for their family members, where applicable.